Groups offer a special opportunity for connecting and self-reflection, allowing participants to find community and learn from each other in ways that could not occur in individual treatment. Guided by a trained therapist, groups are typically comprised of 5 to 10 members who act as learning partners with one another in the pursuit of each person’s goals. 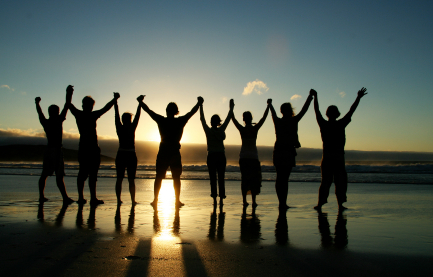 Group psychotherapy can be helpful in many ways: receiving support, learning from others’ experiences, gaining a greater understanding of one’s relationships through the relationships formed in the group, and making use of the group as a safe “practice ground” for experimenting with new and healthier ways of relating with others. Groups are effective as a primary form of treatment alone, or in combination with individual psychotherapy. Groups provide a very special way of healing emotional wounds, which otherwise wouldn’t be possible or take a longer time in individual sessions. The cost is usually half of the cost for individual sessions. If you are interested contact me via phone at (603) 809-6009 or email to learn more and to determine collaboratively whether the groups I’m running are a good fit with your needs.